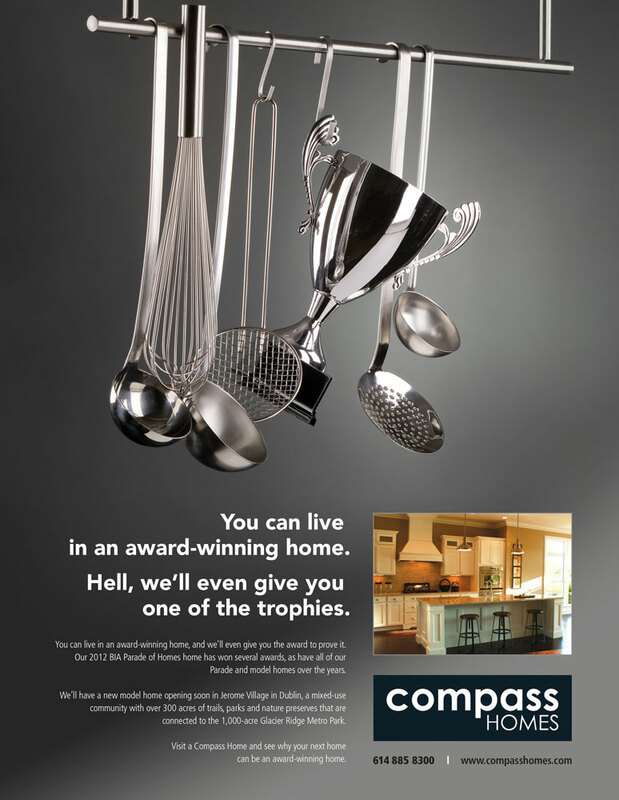 Compass Homes built an awesome, award-winning home (one of the awards was for "Best Kitchen") for the BIA Parade of Homes, and they asked us to create an ad to help them sell the home. When we came up with this ad, we told them if they use it, they have to be prepared to actually give the new homeowner their own version of the award! It seems if they're going to be living in an award-winning kitchen, they might as well show that award off. The house sold pretty quickly once the ad ran.